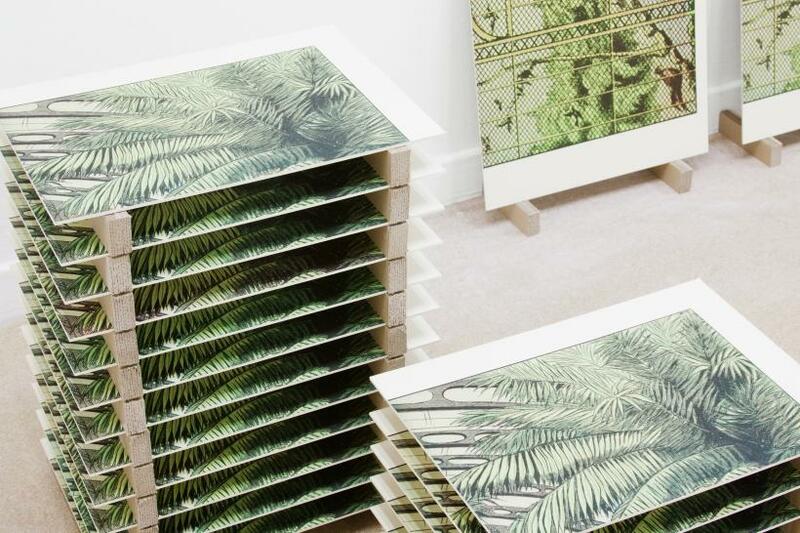 Repetition, reproduction and simulation abound in Elizabeth Corkery’s first solo show in England. The artist originally trained as a printmaker and continues this element in her current practice where silkscreens are printed onto paper or thin MDF. 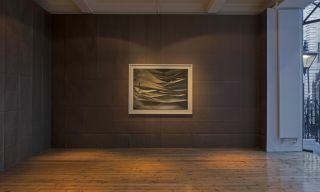 ‘Pictures of Pieces’ at BEERS London features the recurring leitmotifs of architecture, theatre and the garden including a number of works from a residency and solo show at The Telfer Gallery in Glasgow which drew on ideas around artifice and the built environment. 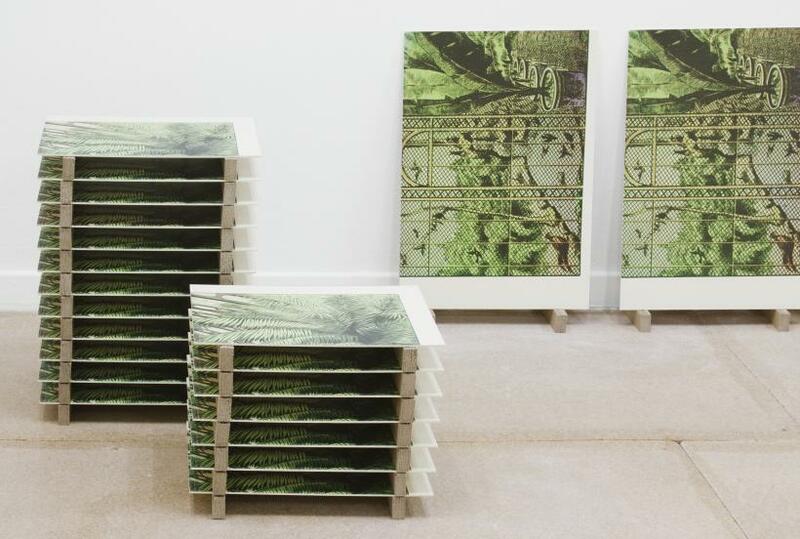 Upon entering the space seven silkscreen Masonite panels from ‘Jardin D’Hiver Scene II’ (2014) are propped on the floor on small wooden blocks. Each panel features the same crop of dense fauna from a larger print. The final three panels of this work are displayed at the end of the exhibition. 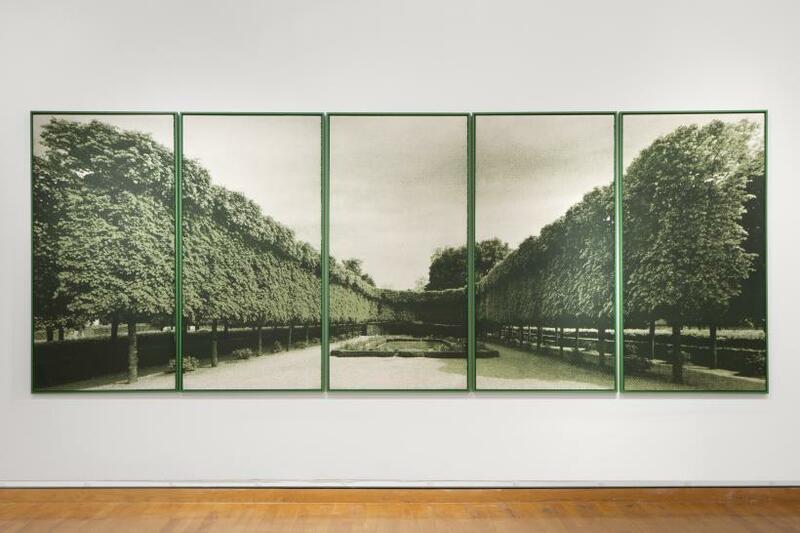 This is one of a number of ‘Jardin D’Hiver Scene’ works where panels with a cropped print of foliage are repeated in different configurations. 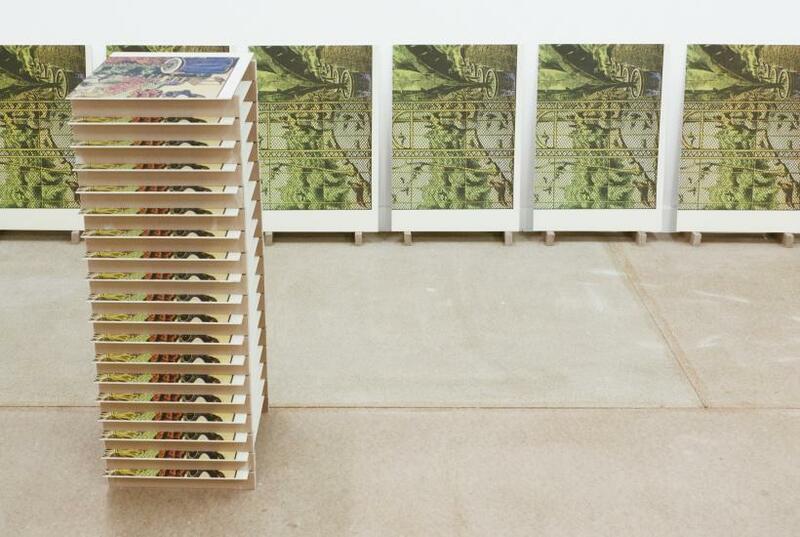 In ‘Laurentian Repeats’ (2014) Corkery reproduces the same narrow crop of a photograph of an architectural element from the Laurentian Library in Florence. 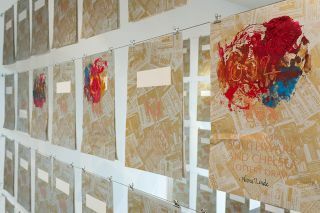 Eight separate panels are individually displayed on plywood shelving echoing the display of books in a library. 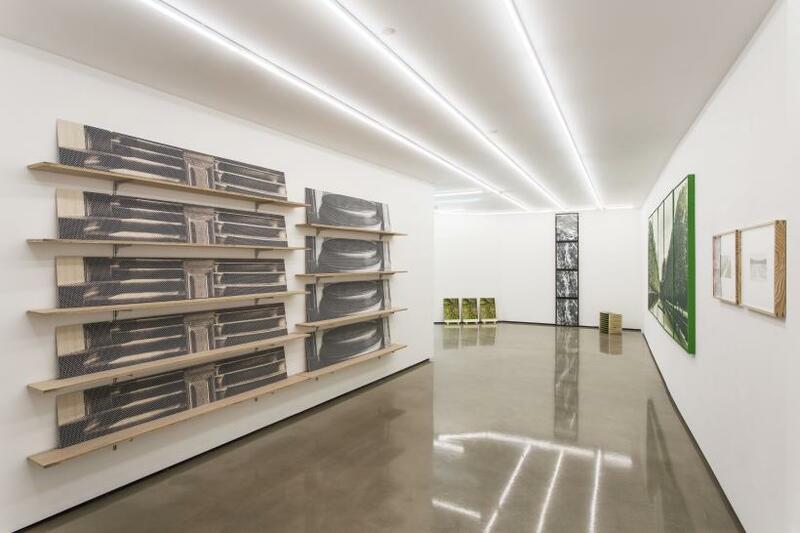 Repetition is used as a tool to give the exhibition a rhythm that is disruptive. 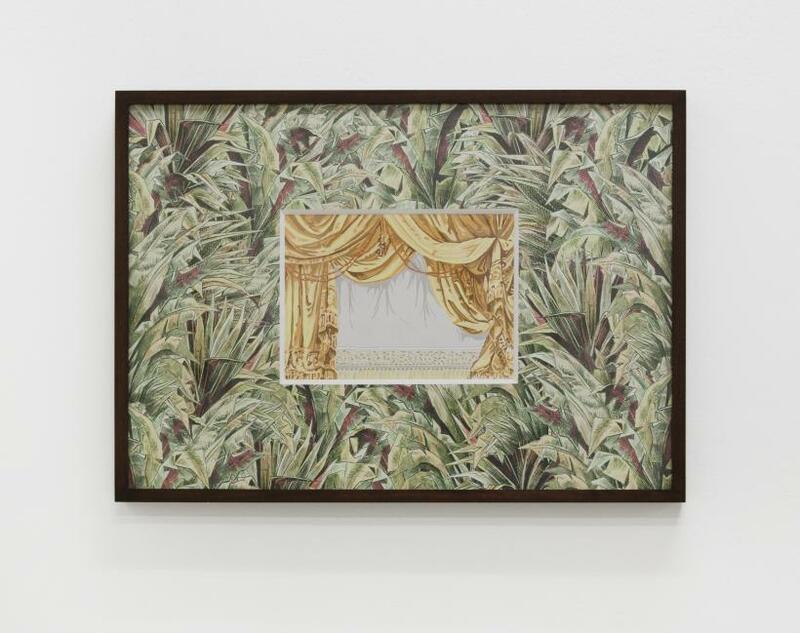 There are three of Corkery’s small curtain works included in the exhibition, each one is an etching of a stage curtain within a thick border of dense foliage. Much like the notable canvas house curtain at the Palais Garnier, which was painted to represent a draped curtain complete with tassels and braid, Corkery’s works are trompe-l’œil prints that disrupt the rules of perspective. The illusory curtain and surrounding fauna have a disorientating effect and the flattened perspective gives unsettling results. One curtain work is titled ‘Oehmigke & Riemscchneider Curtain’ (2014), which references the nineteenth-century German publishers Oehmigke & Riemschneider who were notable for producing books with cut out paper dolls and theatre scenes. 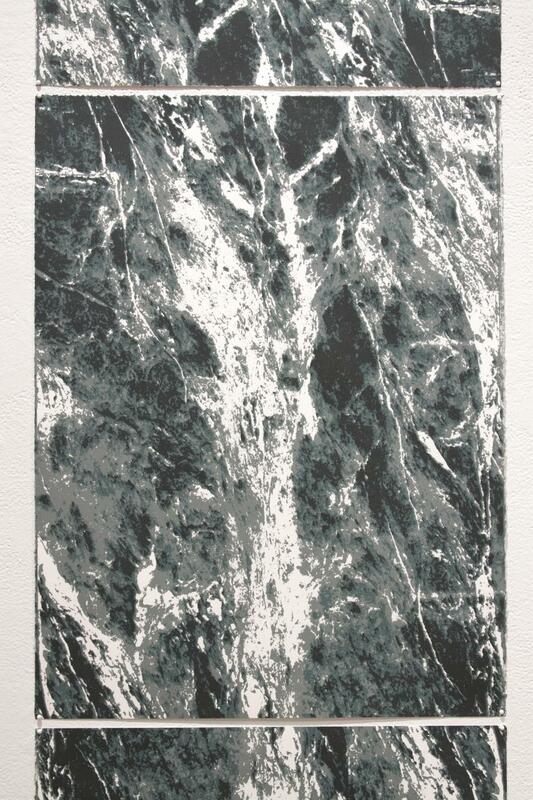 Throughout the display there are multiple references to ersatz objects and print-based reproduction. 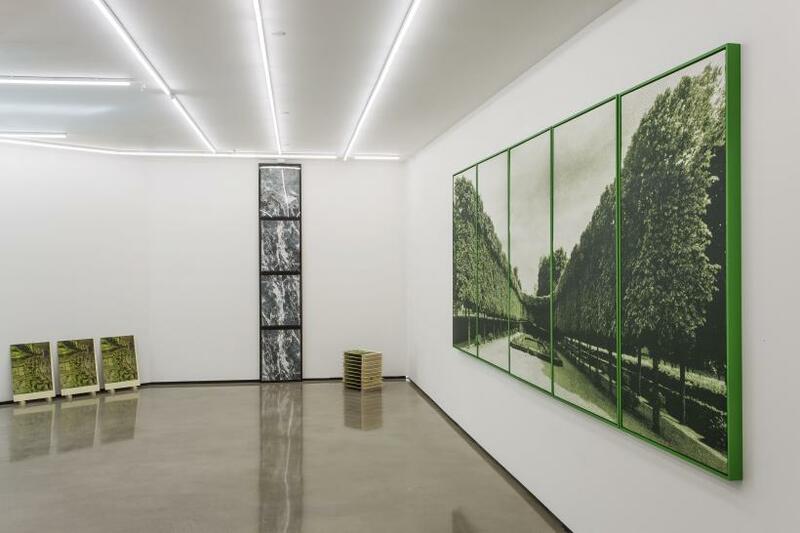 The focal point of the exhibition is ‘Hedge Theatre’ (2013) five large vivid green vertical screen prints. It is a composite image of an enclosed garden space. A large clipped hedge surrounds a small garden recreating the impression of the French formal garden where principles of symmetry and order are imposed onto nature. The vanishing point is slightly fixed to the right side of the image drawing attention to the illusion (or deception) of two-dimensional perspective. 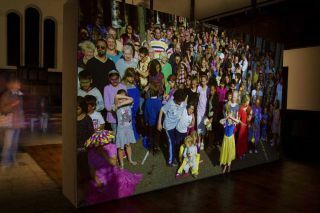 The works featured in the exhibition are not only ‘Pictures of Pieces’ but also pieces of pictures. They are fragmentary and piecemeal. This display is best understood as an autological installation where its central tenet is conveyed through its very modes of representation. Repetition, reproduction and simulation are devices which the artist uses to interrogate these tools as ideas. 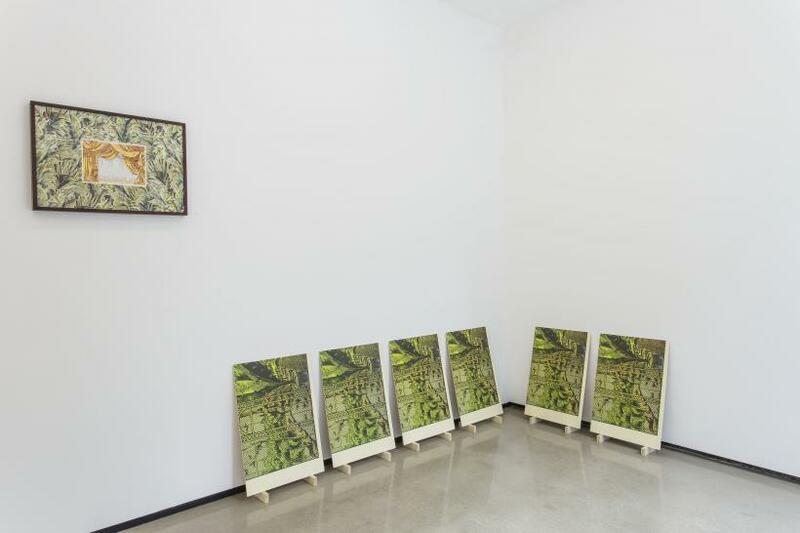 Placing seven panels from one work at the beginning and the final three panels from the same work at the end of the exhibition is a subtle curatorial intervention that strengthens the cyclical paradox embodied in Corkery’s oeuvre.